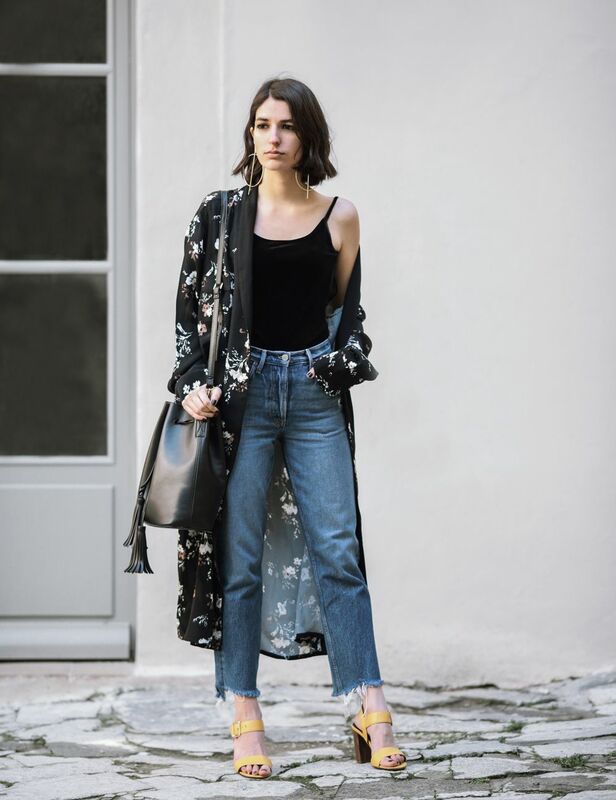 A simple way to add a bit of “dressiness” to your everyday looks is to try on jeans with a kimono jacket. Today, I am here to bring you a stunning collection of street style fashion featuring girls and women dressed in kimonos with jeans. I will try my best showing you my favorite outfit ideas completed with these two functional garments. So, relax and have a look through these street style pictures. 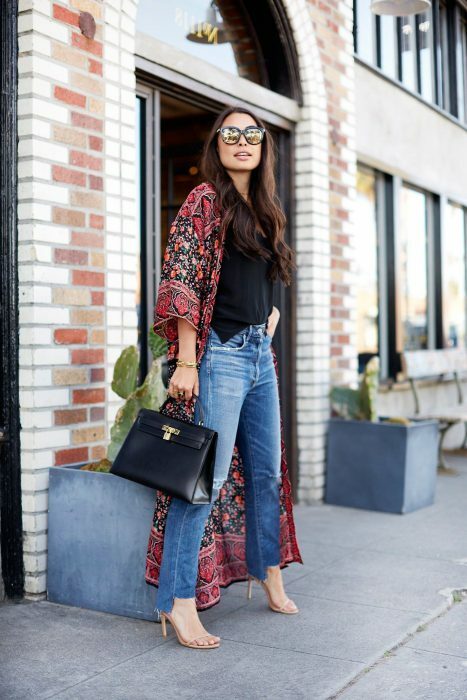 If you follow street style at all, then the kimono and jeans look is no stranger to your eyes. Two very versatile things paired together make for a fun outfit. I got on a kimono kick last year and may have purchased a few too many since, but they are so beautiful and all so different, it’s hard to say no. I score my pieces at vintage stores, vintage clothing conventions, and flea markets, but Etsy has the mother load. You can spend days looking through kimonos that range in all sizes, years, and prices. They look great with jeans, but you can try them over a slip dress, or use it as a house robe. 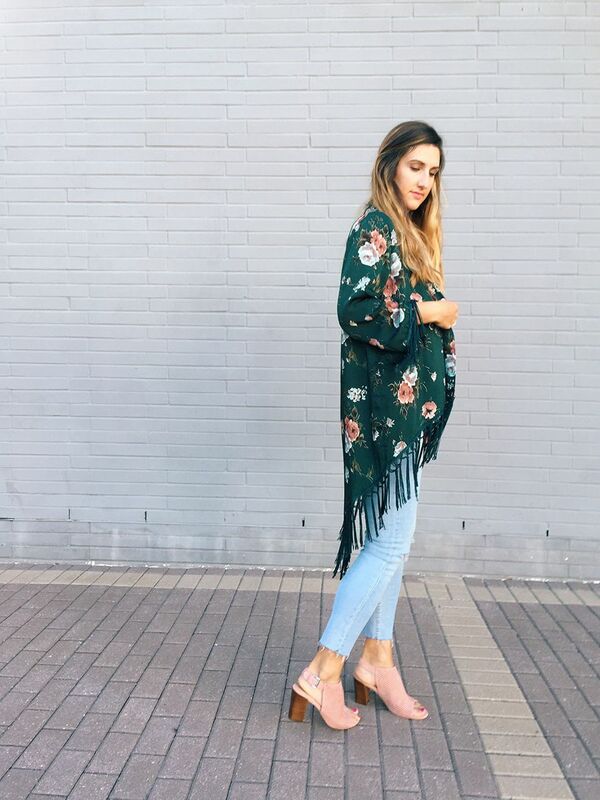 At the moment, you’re probably seeing a lot of maxi kimonos on Instagram and such. Kimonos are actually a pretty great “outerwear” type of item to wear during the summer because they’re very light and airy – so they’re good for the nights you’re chilly, but it’s still kind of warm outside. When worn right, they look chic, unique, and fun. Maybe you’ve seen them around and wanted to try them out, but you weren’t sure what to wear them with. That’s what we’re here for! 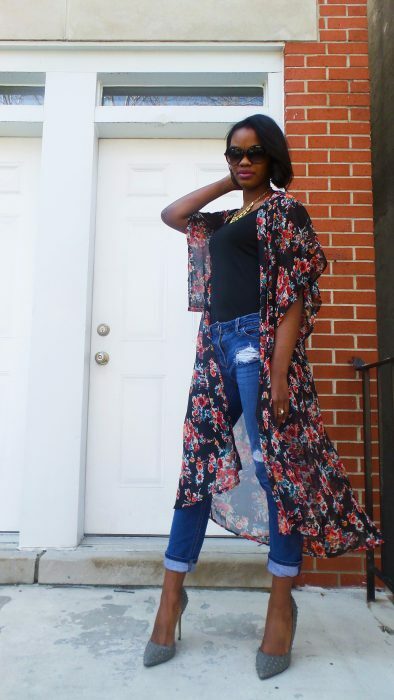 Check out these style tips on how to wear maxi kimonos this summer. They’ll quickly become a wardrobe staple! 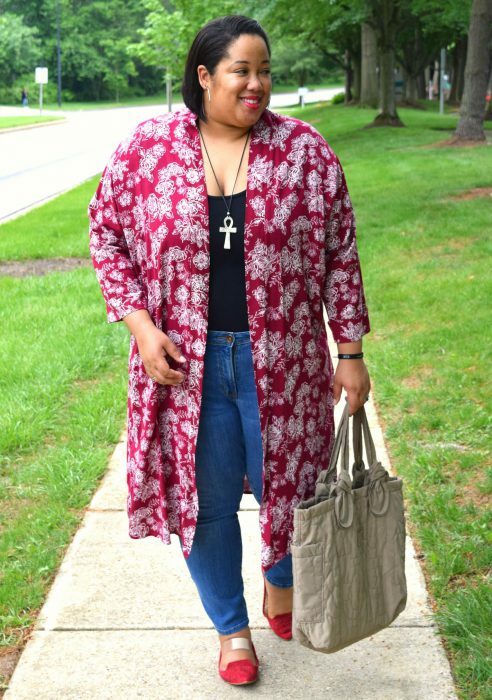 A lot of people wear maxi kimonos with tighter clothing items, but you certainly don’t have to. They have a relaxed vibe when worn with wide leg or flair jeans. 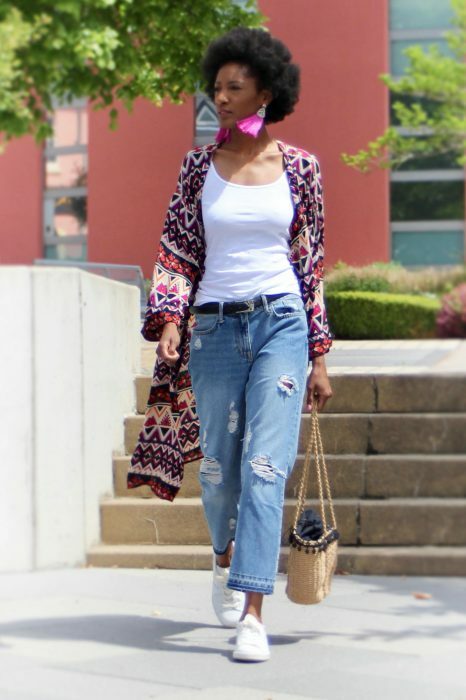 Pair your maxi kimono over a white top and a pair of mom jeans for an eclectic look that works. Make your jeans work for summer by wearing them with a tank, a floral maxi kimono, and a pair of chic mules. Or wear a sleeveless vest-style kimono. It looks so good with jeans and a tank. 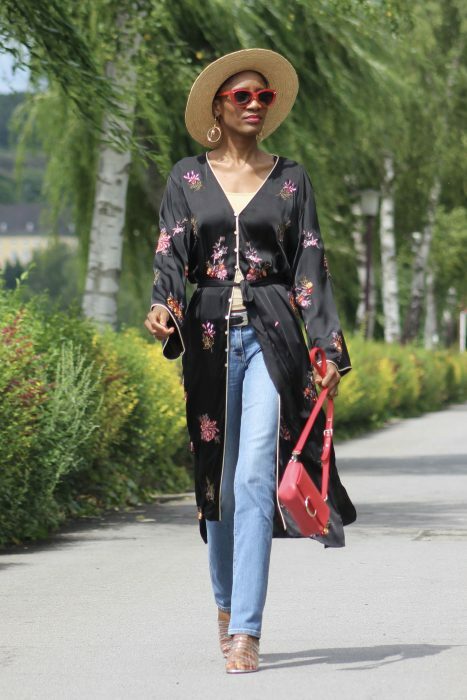 Cropped jeans, flat sandals, a pretty maxi kimono, and a cute hat equal the best summer outfit. 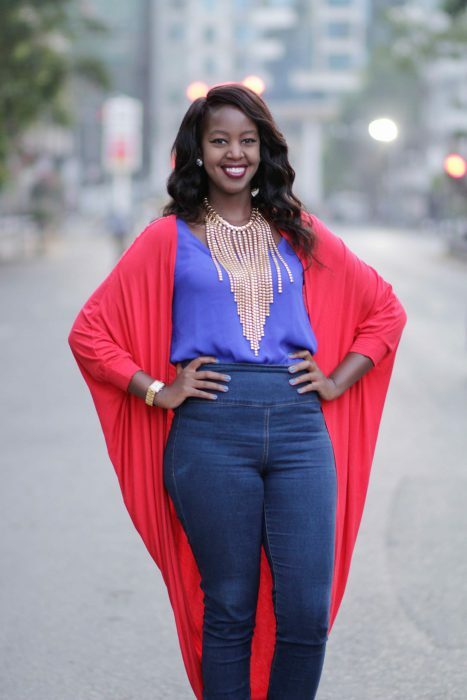 Wear a maxi kimono that strongly resembles a robe with jeans and a tank top – these basics will keep it from looking like you put it on by accident. 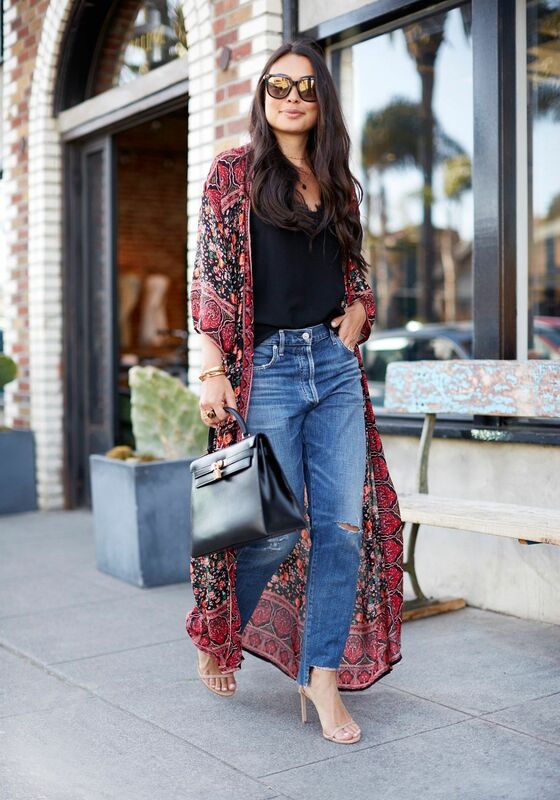 Maxi kimonos keep boyfriend jeans and an oversized tee from looking too relaxed while still being comfortable. Which one of these outfit ideas is your favorite? Do you own a maxi kimono? How do you wear it? Share in the comments.